Do you know what is in store for you as you start pedalling on the Costa Brava and in the Girona Pyrenees? Kilometres and kilometres of trails along old railway trackbeds (greenways) await you, an ideal family activity, not to mention mountain bike trails that will test you to the limit, all amid varied and spectacular scenery just waiting to be discovered. 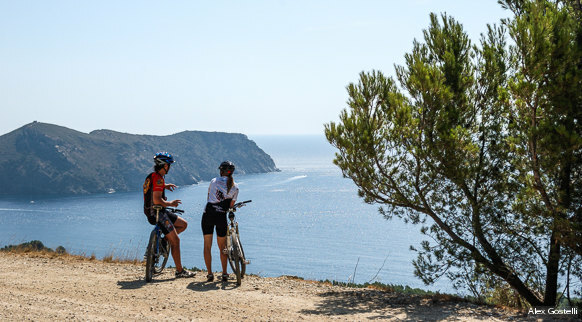 You, your bicycle and plenty of places to explore on the Costa Brava and in the Girona Pyrenees. Cycle touring lets you pedal at your own pace, on the days you choose and for however many kilometres you feel comfortable with. In the saddle you've got kilometres and kilometres of reasons to enjoy cycling on the Costa Brava and in the Girona Pyrenees. Follow the B roads that link the towns of the Girona area. 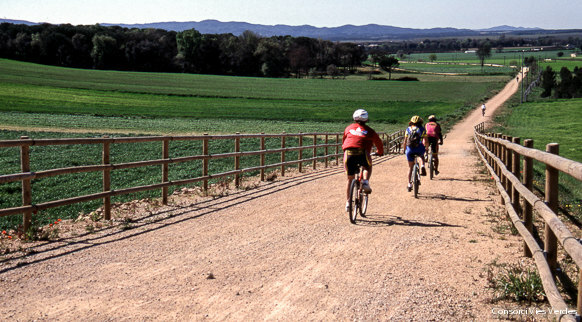 You and your mountain bike can do great things in the counties of Girona. You can explore spectacular natural parks and charming mountain towns, or experience sensations of freedom and the rush of adrenaline with other disciplines such as downhill biking. 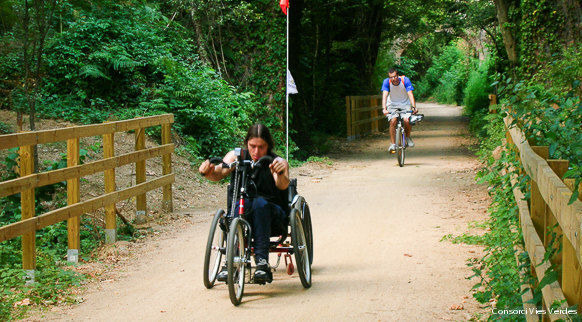 If you don't have a bike or don't want to bring it, you've got an easy alternative: there are plenty of bike hire companies throughout the area, which means that you can pedal to wherever you want in the Girona Pyrenees and on the Costa Brava.